The Dallas Cowboys' focus after losing in the second round of the playoffs is likely going to be contract extensions, sealing up their best players now before getting ready for the draft. They're likely to lose a few free agents but their priority will be their big name free agent, DeMarcus Lawrence, and extending contracts of Dak Prescott, Amari Cooper and probably Byron Jones, in a year where they’ll see more cap room than they have in a long time. 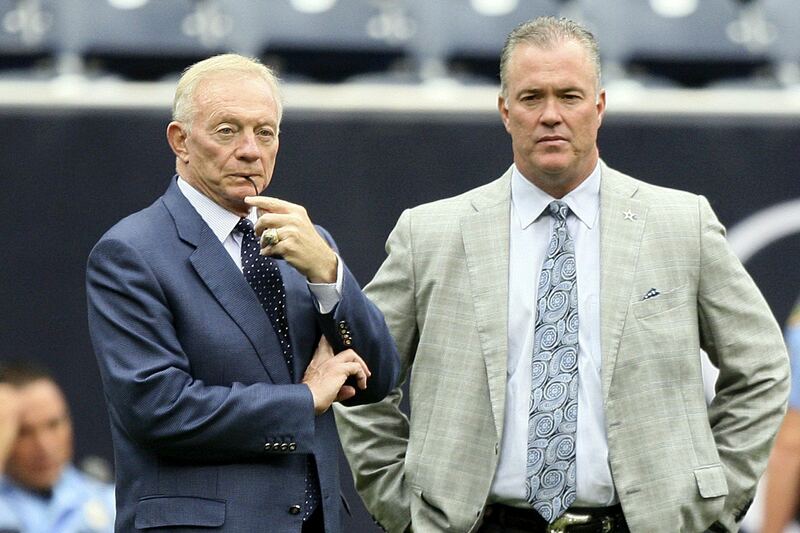 Free agency, to Dallas, has been really almost entirely about re-signing their own and not dipping into the free agency pool like Jerry Jones used to do. However, in today’s NFL, a bit of the old Jerry may need to come back. If we look at the success of Philadelphia, the L.A. Rams, Kansas City, Cleveland or Chicago, all these teams re-signed their own and drafted well, but also went out of their way to either trade for or sign other players. Free agency helped refuel all these teams and all saw success in the same capacity as the draft did. The Cowboys don’t need to break the bank but it wouldn’t be a bad idea to consider some players who will be available. This team has nowhere to go but up, so take that next step. The more help, the better. A bit of an underrated name, Anthony Sherman was another Pro Bowl player this season for Kansas City. Being brought back on a one-year "prove it" deal, he more than outplayed his contract. The Cowboys' current fullback, Jamize Olawale, did play as well as people had hoped. He played well on special teams, but as a blocker for Ezekiel Elliott and a receiver out of the backfield (see the Colts game). Olawale was a very valuable player to Oakland but he wasn’t able to replicate the same success in Dallas. Sherman might want to come back to Kansas City but not only do the Cowboys have more cap room in 2019 but the possibility of playing with arguably the best running back in football might be too big to pass up. Just imagine the next Daryl Johnston and Emmitt Smith. See how many quarterbacks there are in the NFL and then which teams gave them a plethora of weapons: Jared Goff, Patrick Mahomes, Matt Ryan, Baker Mayfield, Deshaun Watson, etc. Amari Cooper appears to have re-established himself among the NFL’s elite receivers, Tavon Austin looks like a cheap re-sign who could be used in rotation both in the slot and outside, and Michael Gallup in the last four games of the season finally meshed with Dak Prescott and looks like a great number two receiver. Throw in Blake Jarwin and a likely second-round pick to be a tight end, and the Cowboys look like they’ve got plenty of weapons. We need to consider now the other receivers Dallas has. Cole Beasley is hitting free agency and it doesn’t look like they’ll be able to keep him, Terrance Williams’ future is up in the air, Allen Hurns is coming back from a devastating injury, and Noah Brown is much more of an H-Back/sub-tight end option. Ideally, Dak Prescott’s next receiver will have good hands, run routes well and have plenty of speed. Randall Cobb is not likely to return to Green Bay, and according to spotrac.com, his estimated value is currently a little under $8 million a year. Whether that’s too rich for the Cowboys’ taste or not, they should consider this. Cobb is only 28 years old and still can be productive on the right team, and given the right quarterback, one of the better slot receivers in the game. The Legion of Boom is dead and, with it, the remnants of Seattle’s Super Bowl defense. K.J. 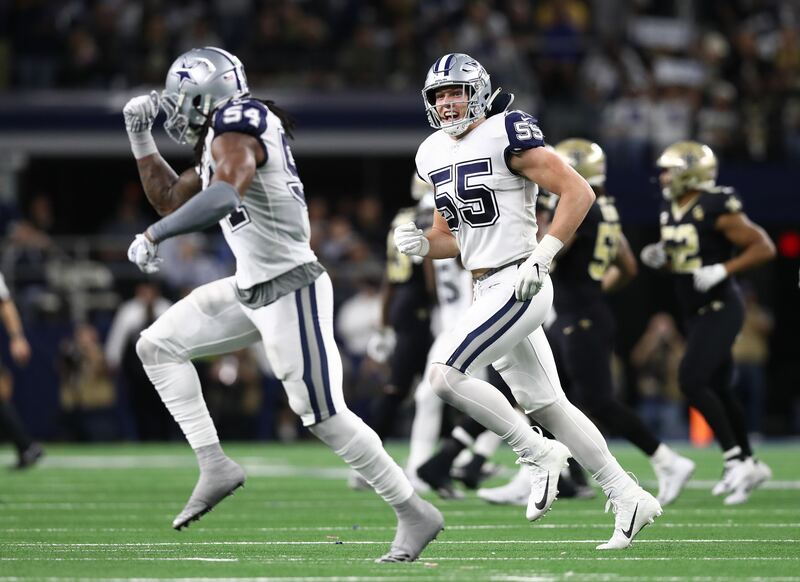 Wright might not be on the same level as Bobby Wagner but he might be just what the Cowboys need in the linebacker rotation. 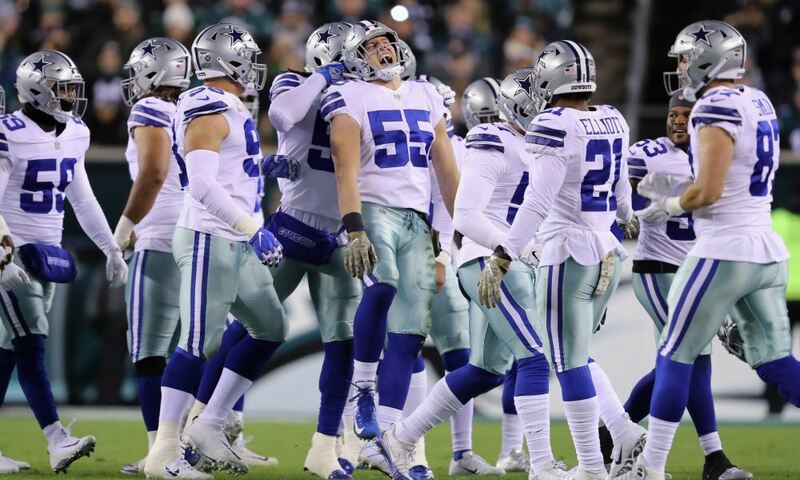 It looks like Sean Lee might have played his last down as a Cowboy. He’s never completed a full 16-game season, and with rising stars Jaylon Smith and Leighton Vander Esch back there, Lee is a likely cap casualty. Damien Wilson is a solid linebacker and often played up to the level that both Smith and Vander Esch played at but Wright might be an upgrade. He’s 29 years old but won’t command a high price in the open market. His familiarity with Kris Richard also makes this an intriguing option. Knowing his success with Richard, it would make sense that Wright wants to finish his career in a system that he can thrive in and possibly make it back to the Super Bowl. Depth was seriously tested on the offensive line in 2018. Travis Frederick missed all season with Guillain-Barré syndrome, Zack Martin missed time with knee issues, and Tyron Smith as well, for his neck. Connor Williams looks like the future at right guard but Xavier Su'a-Filo filled in for most of the season. Going forward, the Cowboys need better, more veteran depth. Matt Slauson has played for four different teams, playing in 114 games and starting in 111 of them. While he’s probably not the player he once was, Dallas really needs him for quality depth across the interior offensive line and veteran leadership. He only cost the Colts $3 million last season, and that would be worth the price to bring him in. Depending on the health of the offensive line, any sort of upgrade on the second team is worth it. It’s always good to have a full backfield. You need your lead dog, a solid number two and a speed receiver option to come out of the backfield. The Cowboys lacked the last one, and they could really use it. Jalen Richard is a modest 5’8 200 lbs but has given the Raiders plenty of quality play, both as a change of pace back and especially at receiver. In fact, he had more receptions (68) than he did rushes (55) in 2018. Since he’s likely to be mostly used as the Lance Dunbar-type of back that Jason Garrett misses, it's better that he catch passes than run the ball. Richard shouldn’t cost very much and having him there would allow Elliott more rest, not having to force him out there on passing downs. Obviously Ezekiel Elliott is one of the best running backs in the game, at both running and catching, but quality depth with Jalen Richard might be what keeps him healthier, longer. Health has been the biggest issue for Jason Verrett. His first two seasons looked like he was going to be a star in this league. However, in the last three seasons, he’s only played in five total games. It’s unlikely that he’ll be retained by the Chargers. Jerry Jones has shown from time to time that he’ll give a player chances, despite off-field or injury issues (see Rolando McClain). A one-year "prove it" deal would make a lot of sense, especially if it improves the Cowboys' secondary depth. Having played at TCU, Verrett is familiar with DFW and would probably be welcomed. There’s still plenty of time for Verrett to return his career back to where it once was. At a discount, the Cowboys might want to take advantage. At last! We’ve come to THE name everyone has expected: Earl Thomas. Leader of the Legion of Boom and future Hall-of-Famer, Earl Thomas broke the internet last season when he ran toward the Cowboys locker room, telling coach Jason Garrett to come and get him. Cowboys and Seahawks fans went crazy. It was a move that was thought could happen before or during the draft, or possibly before the 2018 season started. But Seattle never budged. Instead, Earl Thomas broke a bone in his leg, the game after he played the Cowboys and was placed on injured reserve. Now, Earl Thomas is a free agent, and Seattle is likely to lose him and get nothing back. Earl Thomas has been to a pair of Super Bowls, winning one, and along with Kris Richard helped create one of the greatest secondaries in NFL history. This should be a no brainer. Earl Thomas could be the missing piece to the already elite Cowboys defense. 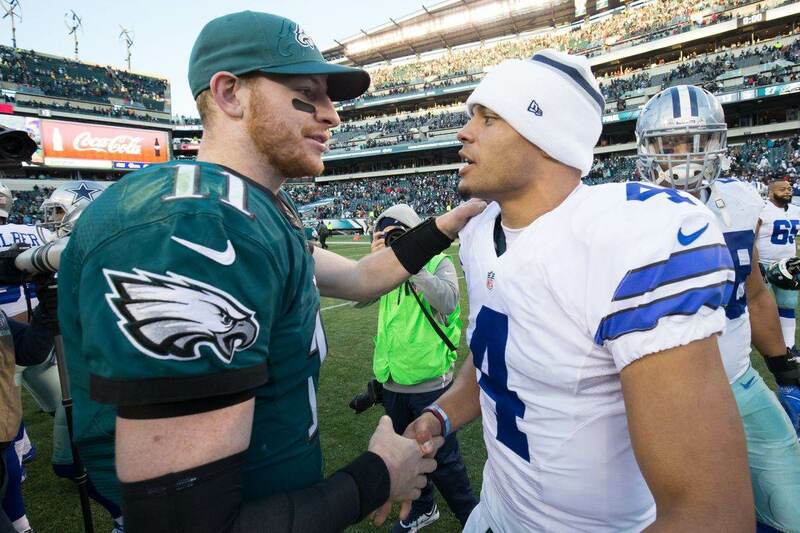 Let’s make everyone’s wishes come true and make this happen Jerry Jones!